Ms Margret McDonald in her new gopher mobility scooter. 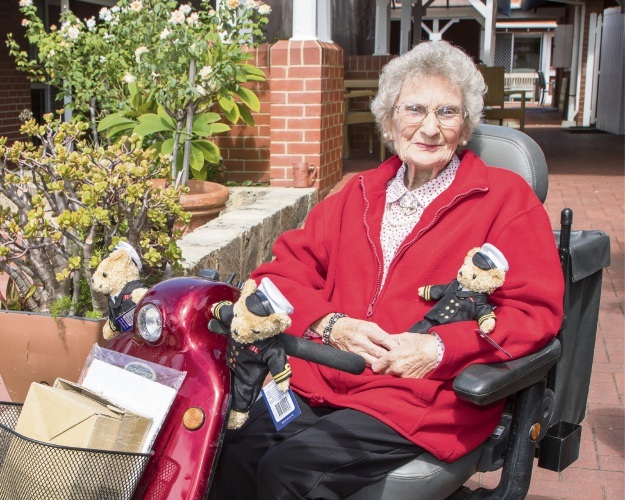 NAVY’S Submarine Force joined forces with Legacy WA to hand over a new gopher to 94-year-old widow and Dudley Park resident Margaret McDonald. Mrs MacDonald was recently left without a gopher and asked Legacy, a service that assists families of veterans who have died or in ill health, to provide her with a new one. For Mrs MacDonald, the new gopher would mean she now has a way to get around. “These opportunities promote the ongoing relationship between current members of the ADF and the families of those who have served our country,” Submarine Force Staff Officer Commander Tony Ashley said. 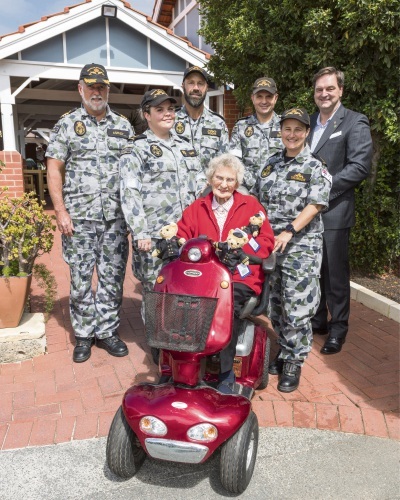 Mrs Margret McDonald in her new gopher mobility scooter presented by Legacy’s Steve Danaher in cooperation with members of the Royal Australian Navy. Mrs McDonald said she has regained a sense of independence and freedom. Her husband Alex served in New Guinea during World War II with the 2nd Australian and New Guinea Administrative Unit, and passed away in 2007.